During his stay in San Pedro Town before the Easter holidays, Cobey, his wife Jan and daughter Abbie, were able to enjoy themselves by snorkeling, diving, fishing, and relaxing on the beach at Caribbean Villas Hotel. 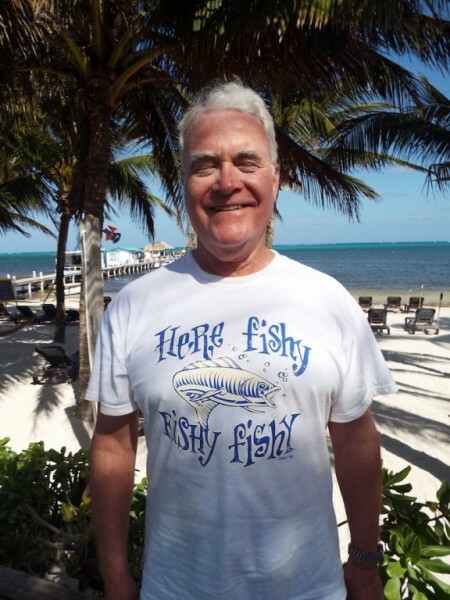 After enjoying his stay on Ambergris Caye, Cobey returned to his current duties, which include helping to set up the Johns Hopkins Center for Global Surgical care, and assisting the Navajo Indian Reservation in public health matters. He also plans on working with the G4 Alliance, an alliance within the United Nations of Brazil, Germany, India, and Japan, for Surgery, Obstetrics, Trauma, and Anesthesia Care. Cobey explains that according to the World Health Organization (WHO), five billion people lack access to safe and affordable surgery. He states that more people die from lack of surgery than those with human immunodeficiency virus (HIV), malaria, and tuberculosis (TB) combined. Therefore, he will be working to implement the goals of both the Lancet Commission and the WHO to provide safe affordable surgical care. American Crocodile Education Sanctuary to the Rescue!